The simplest definition for the word commencement is the start of something new, which seems counter-intuitive as I tend to think of commencement as the end of something. We graduate from high school or college (or even kindergarten nowaways) and we celebrate commencement. We’re done! School is over! No more teachers, no more books… you know how the old rhyme goes. But of course commencement is not about the end of something, but the beginning of the new thing: first grade, college, life. Today, our first full day traveling with The Outreach Foundation, we found ourselves climbing up 105 steps to visit one of the six schools for Syrian refugee students run by the National Evangelical Synod of Syria and Lebanon (NESSL). This was the last day of the short summer session of the school at Kab Elias, the building itself an old Synod school now replaced by a state of the art school down in the valley. 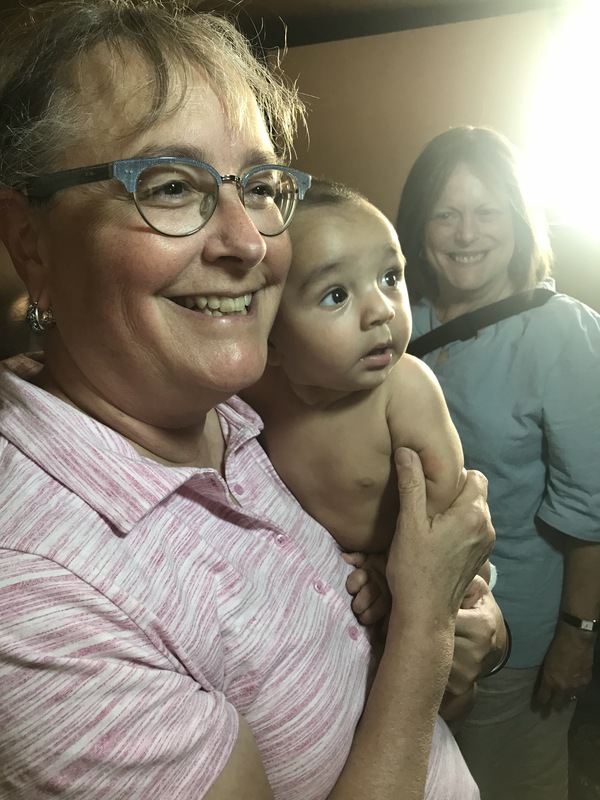 It commenced a new life three years ago when the Synod’s vision of reaching out to Syrian children living in the camps was realized. 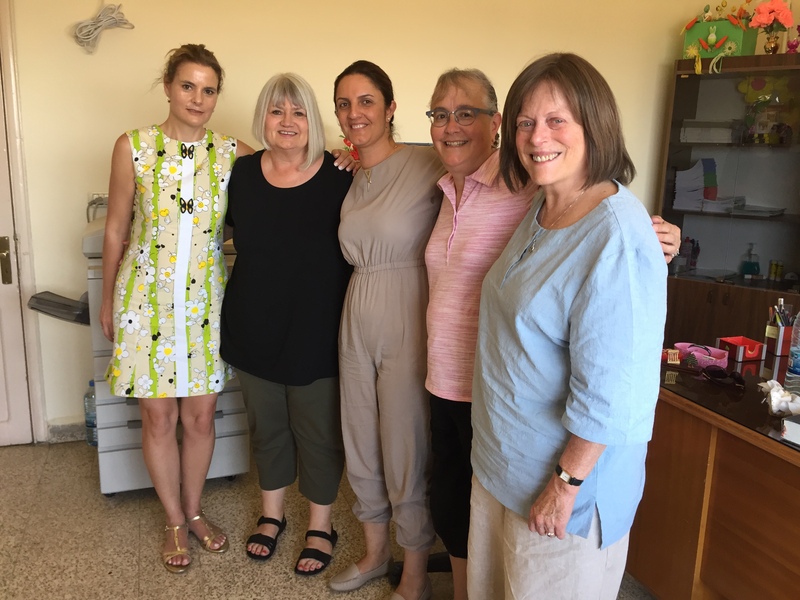 Evangeline, Marilyn, Ramak, me, Sheryl in Ramak’s office at Kab Elias school. Next fall this room will become a much needed classroom. When we arrived today, all the children were sitting quietly outside with their teachers waiting for us. Once we arrived, Ramak Aboud, the principal of this school, called up nine children, aged 8-13, who represented the graduating class, having completed up to the second elementary grade, the highest the school offers. They had been learning from the ground up – reading, writing, math, science, Christian ethics – for three years. Today was their commencement to something new. Two of the kids were heading back to Syria with their families. One was emigrating to Canada with his. One, a 13-year old girl named Shama’a was now old enough to be married and start her own family; her mother had advocated to keep her in the school for as long as possible, so she will take more classes next term. For the rest, maybe they would be able to enroll in the government schools. Sometimes the something new doesn’t seem so bright or sure. 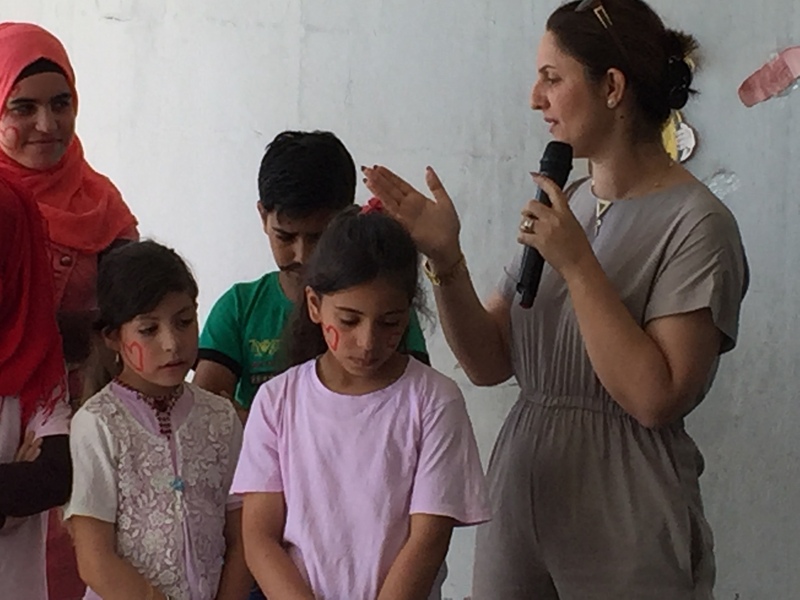 There were tears from these children as they realized that something new was coming. Why tears? 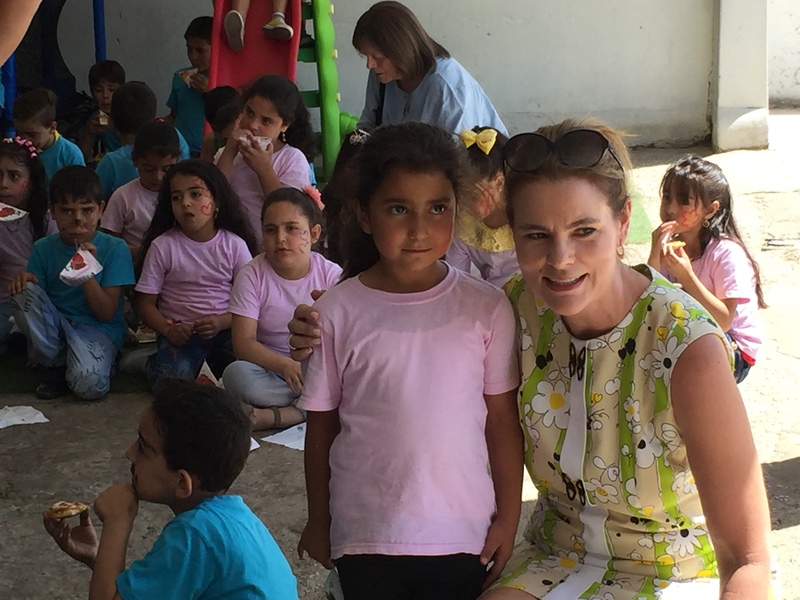 Because in this place, high up on the hill in Kab Elias, children whose families had been treated as less than human as they fled Syria and arrived in refugee camps, had found the love of God through the intercession of their teachers. The teachers were teary-eyed as well as they sent these new graduates off to the new unknown. And with all good commencement proceedings, it ended well with food and music and party games, so smiles and laughter were our final memories with these kids. We ended our day in Zahle with our dear friend Izdihar Kassis whose ministry Together For the Family does amazing outreach in many ways. Today we went with her to visit fifteen mothers, each of who had a new baby. They were given a blanket stuffed with onesies, socks, diapers and formula. But they were also given a very direct message of the Jesus who came as a baby, was loved by a mother (just like them! ), and who gives us all the gift of life. This was a different kind of commencement, but a commencement nonetheless. 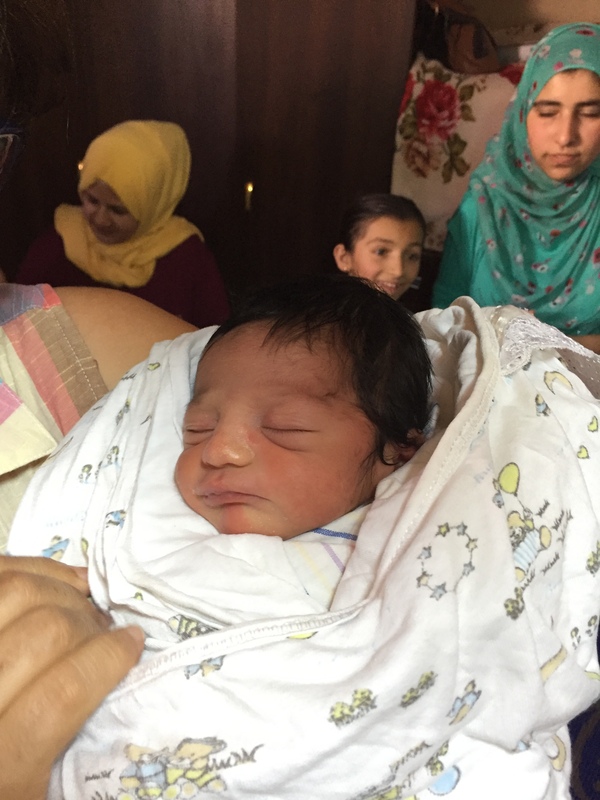 Each pregnancy for these women had commenced with something new: a new life, swaddled and bundled and settled into a mother’s arms. 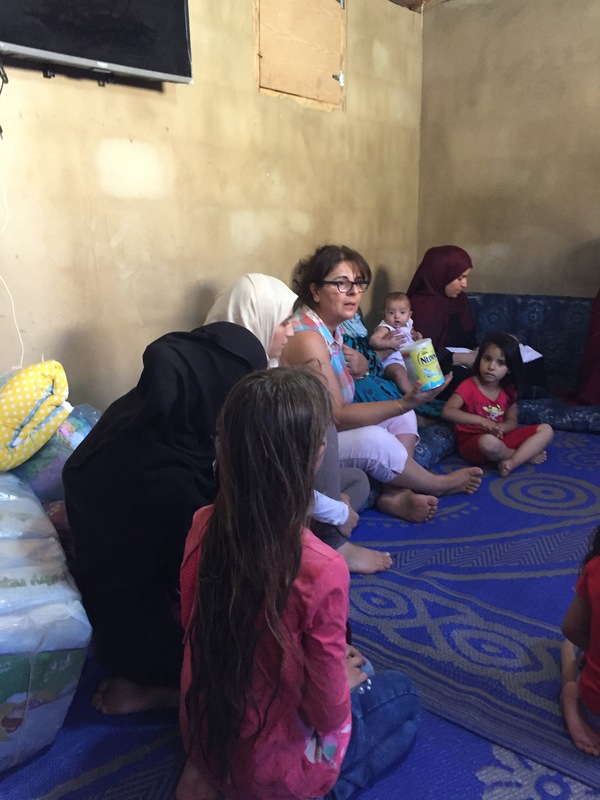 As we sat there with fifteen moms, fifteen new babies and the other children those moms already had, we heard the hard news of this life. Although each of those children had been given a birth certificate, none of them was registered. Not in Lebanon. Not in Syria. For governments, these very lives are not recognized and have no rights. There would most likely be no school for any of them, and there are many under the age of seven, born in refugee camps, in this predicament. Maybe one day they might get the opportunity to climb the steps of Kab Elias to go to school. Maybe. The something new of this commencement is harsh, and yet God has called Izdihar to his ministry in this place. It is a privilege to walk the steps of Kab Elias and into the tents near Zahle with these ministries that The Outreach Foundation partners with. There is joy and there is sadness, and sometimes at the end of a day, all we can do is pray. So I am ending with words of the psalmist, who questions God’s love but ends with words of trust and rejoicing. And we can do no less.